Prestigious Cars for your prom. Why our Prom Car Hire Services? Do you want to look stylish at your Prom Night? Do you want to stand out in the crowd with an exclusive School Prom Car! Then you’re at the right place! MME Prestige offers you with the luxury prom car hire fleets. For everyone prom is very special. There are some instances which happen once in life and are meant to be lived fully. One such event is prom. Prom is a big event for all high-school students as it marks your entry into adulthood. Usually, the kids go to the prom in couples. In order to be a couple, a boy can ask a girl to go along with him or the girl can ask the boy. Now, prom events are more of show off and class. Young Kids give their best shot in order to be the king or the queen of the event. In the eve, many titles are awarded. One thing which is the highlight reel of the event is the luxurious or prestigious prom car. Why our Prom Car Hire Agency? Everyone wants to arrive in style to the prom night. There is nothing better than travelling in personal chauffeur-driven a luxurious car. Therefore, the choice of decadent car is very essential. If you want to be the duke or fallout babe of the event then arriving in the luxury car is a must. At MME Prestige, you would get many luxurious cars with an incredible range of packages to suit your needs. We would offer you with any of the luxurious cars which you required. A fully uniformed professional chauffeur would open and close the doors for you at all the times to give the celebrity feeling in front of your friends to make them jealous. What extravagant prom car hire services do we offer? MME Prestige offers you luxury-fleet driving extortionate cars driven by well-mannered and professional chauffeurs. 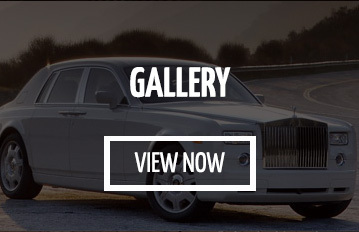 We have the supreme collection of classic and vintage cars for hires such as Rolls Royce, Bentley and Porsche. So, hire a chauffeur-driven Rolls-Royce or Bentley for your prom night and be the envy of all toy friends. Arrive at your school prom night in the luxury fleet of Rolls Royce, assures you to take a “fast-forward” and “healthy” step towards the adulthood. We are expert and experienced in handling both large and small prom night parties. We assure that all the vehicles shown on the website are the actual car or we can organise an appointment for you to view any vehicle. So, what are you thinking of book your prom car hire today! Are all the drivers CRB checked? Yes, we assure you that all our chauffeurs are CRB checked and won’t do anything wrong. They would drive safely and comfortably dropped you at destinations. Can we play the music of our choice? Yes, you can play any music of your choice. Bring your CDs, iPods and iPhones to play or ask the chauffeur to assist you. Do the driver open/close the door? Yes, they shall open and close the door to give you the feeling of celebrity. How many passengers can fit in a car? 4 Passengers depending on the car. From where your chauffeur picks us? At the time of booking, we ask you about the itinerary based on the pickup and drop-off locations. If you want multiple pick-ups, please let us know early so that we can provide you with the full cost. What time will the driver arrive at the pick-up point? The chauffeur will arrive the pick-up location prior 15 minutes. VIP-style chauffeur-driven luxury cars airport transfers + ‘Meet&Greet’ for business trips & holidays from all major South East UK airports. Arrive in style, whether it’s a group of ladies on ladies day at Royal Ascot or a day out to the Cheltenham races with friends. Let the party begin inside our luxury cars. We guarantee to make that night out extra glamourous, with LED lights and the sound system to accompany its like hopping from club to club all inside our luxury cars.